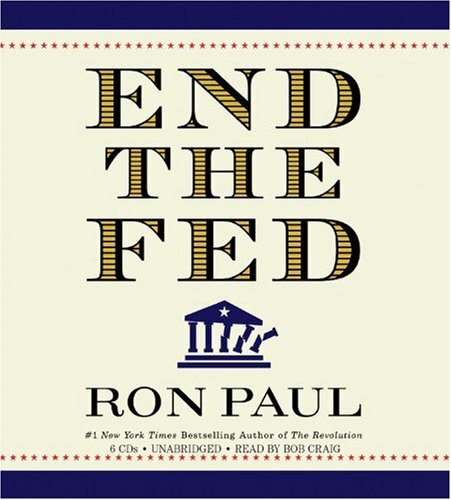 Dr. Ron Paul* essay advocates a secession from central banking or "Fed-Exit" in line with the Brexit .. "Ending the Federal Reserve's monopoly on money is the key to restoring and maintaining our liberty and prosperity. By manipulating the money supply to fix interest rates, the Federal Reserve engages in price fixing. After all, interest rates are nothing more than the price of money. Like all prices, they communicate information about economic conditions to market actors. Federal Reserve attempts to override the market rate of interest with a Fed-favored rate distort the price signals sent to businesses, investors, and consumers. The result of this distortion is a Fed-created boom, followed by a Fed-created bust. The Fed’s action affects the entire economy and impacts the lives of all Americans, as well as of people around the word. Therefore, it is no exaggeration to say that the attempt to fix interest rates is the most harmful example of price fixing."